The following cases are placed upon the calendar of the Supreme Court for hearing at its courtroom in the Ronald M. George State Office Complex, Earl Warren Building, 350 McAllister Street, Fourth Floor, San Francisco, California (view map), on October 5 and 6, 2016. #15-191 People v. Financial Casualty & Surety Inc., S229446. (B251230; 239 Cal.App.4th 440; Superior Court of Los Angeles County; SJ003872.) Petition for review after the Court of Appeal affirmed an order denying a motion to extend the period to exonerate a bail bond. The court limited review to the following issues: (1) Should the good cause standard under Penal Code section 1305.4 for extension of the period to exonerate bail require a demonstration of a reasonable likelihood of success of returning a fugitive? (2) When a court finds there has been a diligent investigation to locate a fugitive, does the burden under Penal Code section 1305.4 shift to the People to prove that there is not a reasonable likelihood of success of returning the fugitive? (3) Does an extension of the period to exonerate bail under Penal Code section 1305.4 commence on the date on which the initial 180-day period expires or on the date on which the trial court grants the extension? #14-143 Raceway Ford Cases, S222211. (E054517, E056595; 229 Cal.App.4th 1119; Superior Court of Riverside County; JCCP4476.) Petition for review after the Court of Appeal affirmed in part and reversed in part the judgment in a civil action. This case presents the following issues: (1) Does the inclusion of inapplicable smog check and smog certification fees in an automobile purchase contract violate the Automobile Sales Finance Act (Civ. Code, § 2981 et seq.)? (2) Does backdating a second or subsequent finance agreement to the date of the first finance agreement for purchase of a vehicle violate the Act? #16-60 Harris, Jr. (Morris Glen) v. Superior Court of Los Angeles County (People, Real Party in Interest), S231489. (B264839; 242 Cal.App.4th 244; Superior Court of Los Angeles County; BA408368.) Petition for review after the Court of Appeal denied a petition for peremptory writ of mandate. This case presents the following issues: (1) Are the People entitled to withdraw from a plea agreement for conviction of a lesser offense and to reinstate any dismissed counts if the defendant files a petition for recall of sentence and reduction of the conviction to a misdemeanor under Proposition 47? (2) If the defendant seeks such relief, are the parties returned to the status quo with no limits on the sentence that can be imposed on the ground that the defendant has repudiated the plea agreement by doing so? #15-107 County of Los Angeles Board of Supervisors et al. v. Superior Court of Los Angeles County (ACLU of Southern California et al., Real Parties in Interest), S226645. (B257230; 235 Cal.App.4th 1154; Superior Court of Los Angeles County; BS145753.) Petition for review after the Court of Appeal granted a petition for peremptory writ of mandate. 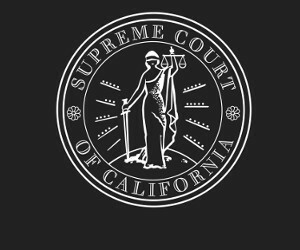 This case presents the following issue: Are invoices for legal services sent to the County of Los Angeles by outside counsel within the scope of the attorney-client privilege and exempt from disclosure under the California Public Records Act, even with all references to attorney opinions, advice and similar information redacted? #15-38 McGill (Sharon) v. Citibank, N.A., S224086. (G049838; 232 Ca4th 753; Riverside County Superior Court; .RIC1109398) Petition for review after the Court of Appeal reversed an order denying a petition to compel arbitration in a civil action. This case presents the following issue: Does the Federal Arbitration Act (9 U.S.C. § 1 et seq. ), as interpreted in AT&T Mobility LLC v. Concepcion (2011) 563 U.S. 321, preempt the California rule (Broughton v. Cigna Healthplans (1999) 21 Cal.4th 1066; Cruz v. PacifiCare Health Systems, Inc. (2003) 30 Cal.4th 303) that statutory claims for public injunctive relief are not subject to compulsory private arbitration?